Perhaps this is the ultimate shot to Drake and Safaree Samuels. Nicki Minaj hinted that she is pregnant while on her PinkPrint tour stop last night in Pittsburgh, Pennsylvania. “Make some noise for my baby father,” Nicki told the crowd to loud cheers. Of course she has a track record of misleading her fans and the media. We all remember that giant rock that Meek gave her earlier this year and those engagement rumors. Twitter immediately started analyzing Nicki Minaj statement and she did responded to one of her fans. Only time will tell to see if we will see a baby bump in a few months. Last month the “Only” rapper made it clear via Twitter that she will not get pregnant until she is married. “No matter wut he, or anyone else says, Onika Tanya Maraj won’t b pushing anyone1 out her vajayjay, until she’s married. Now check that,” she wrote on her timeline. She was responding to a comment made by Meek Mill that he wish she was pregnant. 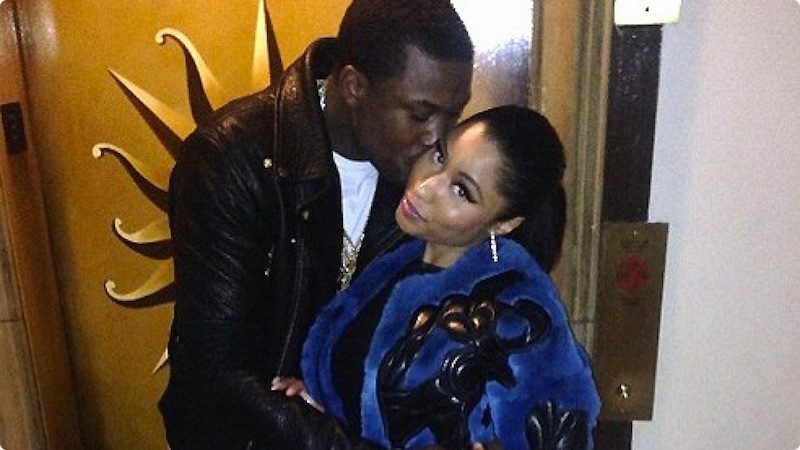 Last week, Meek blamed Drake’s obsession with his girlfriend Nicki Minaj as the reason for their beef. “I don’t think it’s about no rapping, it’s about Nicki, he told us he was first in line but it got tricky, I still wake up with the lady that you said you’re first in line with,” the Dreamshasers rapper said during a freestyle on stage. Drake has reportedly recorded a third diss song but has not yet released it. The big question now is will Nicki Minaj pregnancy save Meek Mill career. The “All Eyes On You” rapper has been taking a lot of bashing on Twitter since igniting a beef with the Toronto emcee last month.